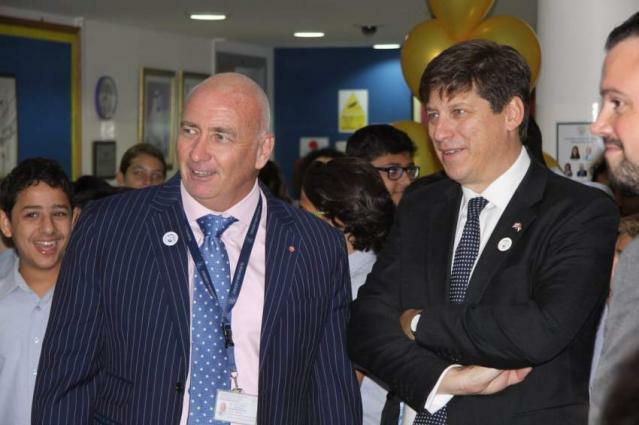 ABU DHABI, (UrduPoint / Pakistan Point News / WAM - 17th Apr, 2019) The United Arab Emirates and the United Kingdom are brought together by their common approach of "taking what is best from the past and having a bold vision for the future," British Ambassador Patrick Moody said here last night. He was addressing guests at the annual Embassy reception to celebrate the official birthday of Britain’s Queen Elizabeth, 93 this year. This approach "lies at the heart of what is best about both countries, and that brings us together," he said, describing the relationship as "so strong in the past and so full of potential for the future." Saying that both countries "share a commitment to ensuring a prosperous future for our peoples," the ambassador went on to note that the UK is the largest source of Foreign Direct Investment, FDI, in the UAE, with over 5,000 British companies registered here and over 100,000 British residents of the Emirates. Bilateral trade, he said, now runs at a level of 17.5 billion Pounds sterling a year, around AED85 billion, while around 1.5 million British people visit the Emirates annually. Britain, Moody said, had been a trusted partner in the growth of the UAE so far, and looked forward to continued engagement in the future. "We want to be partners for the future challenges," he said, citing the examples of innovation and the new Fourth Industrial Revolution around Artificial Intelligence and big data, cleaner and more efficient energy, financial technology and education and training. Quoting a message sent by Queen Elizabeth last year on the occasion of the 100th anniversary of the birth of the late Sheikh Zayed, Moody recalled that she had described the celebrations of the Year of Zayed as ‘a fitting tribute to his legacy of tolerance, prosperity and peace.’ "Security and peace," Moody said, "were at the heart of our historic relationship. Our Defence and Cooperation Agreement with the UAE is our deepest outside of NATO." Britain stands together with the Emirates, he said, "in the struggle for peace and security and in seeking stability and transformation across the region." The reception was attended by Hussain bin Ibrahim Al Hammadi, Minister of Education, members of the diplomatic corps, members of the British community, and other guests.